FOUND by domestic bliss: A trend we love........Reclaimed Wood! 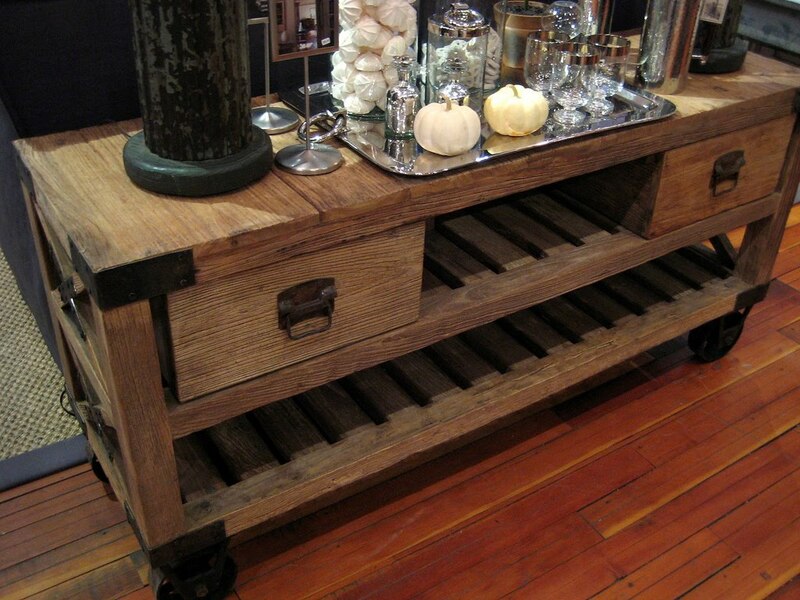 A trend we love........Reclaimed Wood! One trend we are seeing so much of lately is one that we at FOUND just can't get enough of: reclaimed wood! 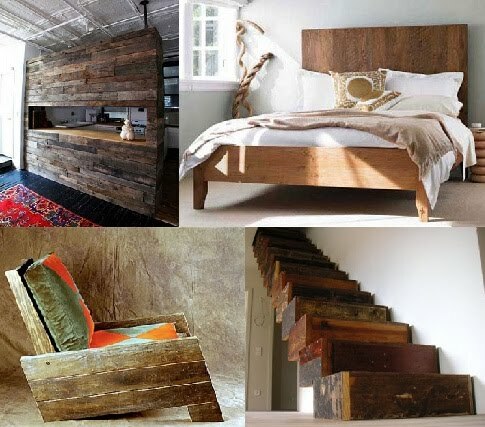 Whether it's salvaged from old houses or old wine barrels, driftwood or the side of a barn, wood with a rich history behind it always makes for gorgeous home furnishings, as seen in the examples above. 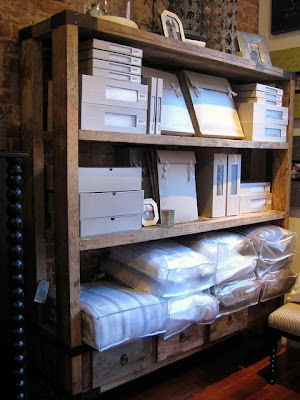 FOUND is all about reclaimed wood........after all, what is more 'found' than salvaged building materials? We work with so many furniture designers crafting timeless pieces out of this amazing and uniquely textural wood, we want our FOUND customers to have a chance to see all of these beautiful pieces. Every one of the pieces below is IN STOCK RIGHT NOW at FOUND--for now!! These always seem to sell quickly, so come in and see them for yourself! If you do miss them, don't worry too much, we can also special order ANY of the pieces you see below (stop in and chat with us or give us a call at 480 73 FOUND to talk more about ordering any of the pieces you see here). This rolling console table on industrial wheels measures 59" long, 28" tall, and 18" wide, and retails for just $1,350 in our store. This would compliment so many different styles of home, from somewhat traditional to ultra-modern! The square, driftwoodesque mirror is 39" x 39" x 2", $550. The smaller rectangular mirror at right is 35" x 60" x 3", $565; larger rectangular mirror in rich, deep distressed brown is 39" x 79" x 2", $862. This awesome wooden shelf unit is HUGE: 69" x 17" x 79", and an incredible deal for its size at $2,485! 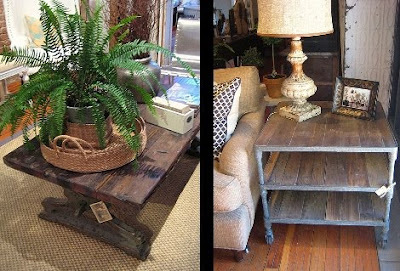 Coffee table with great industrial cast iron base measures 55" x 32" x 18" tall; $1,322. 'Luca' side table with wheeled legs measures 28" x 28" x 25.5" tall; $1,350. You can reach us at FOUND from Tuesday - Saturday, 10 - 5 pm (MST), at 480 73 FOUND (480 733 6863). 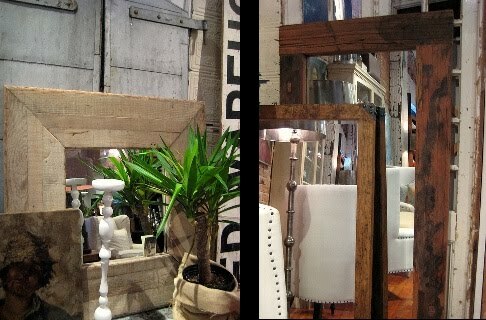 I adore pieces in reclaimed wood...so warm and inviting! !